Safeway Logistics. 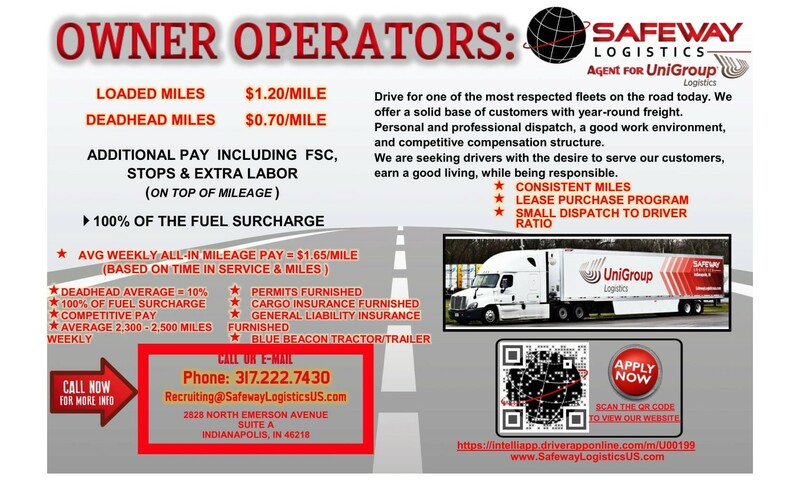 is a leading Agent for United Van Lines, looking for professionals in the trucking industry with a strong commitment to quality, safety and customer service. We haul Special Commodities, New Product, and some Electronics, no household goods. You will drive good equipment and have plenty of work. 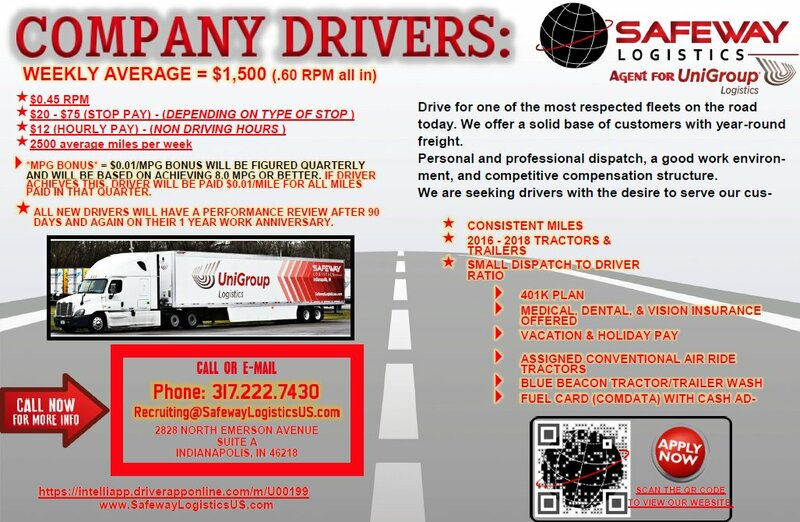 Safeway Logistics, drivers are paid on time and treated with respect. SEND YOUR APPLICATION TODAY!